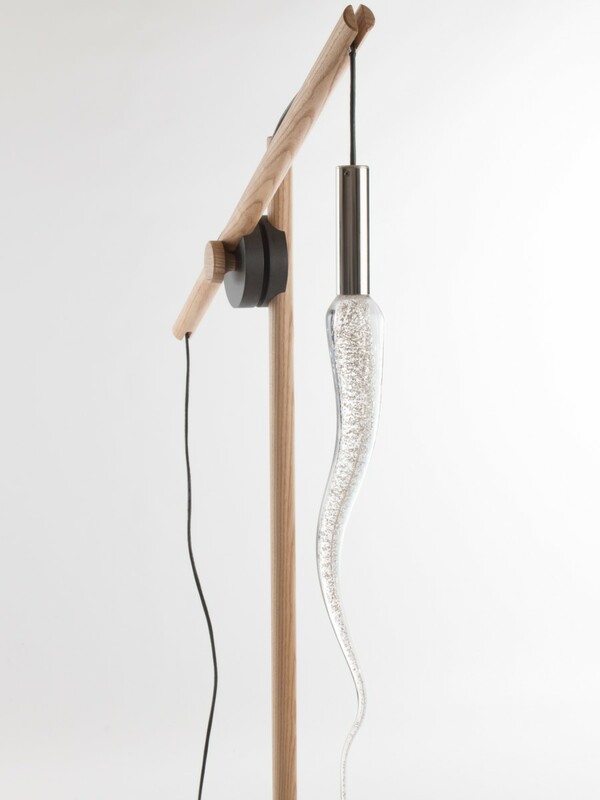 Hand made floor lamp, designed and produced in the UK for discerning clients worldwide. 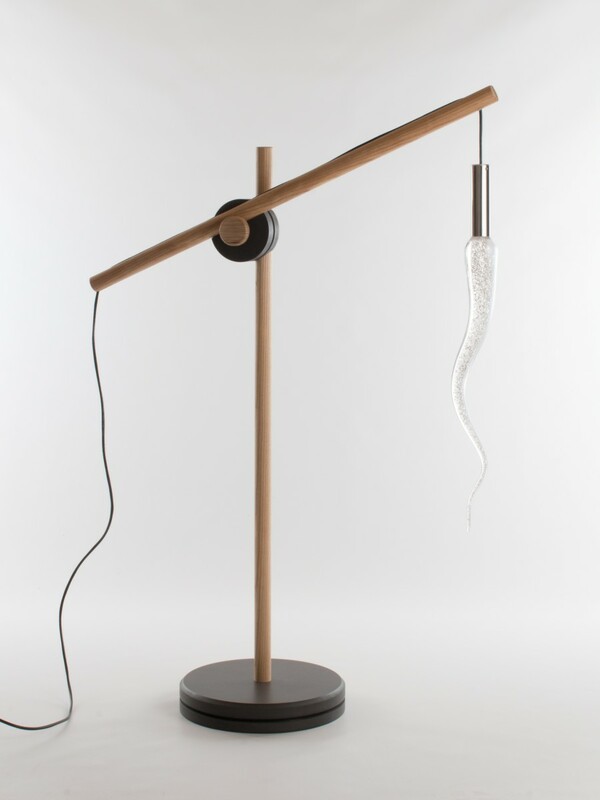 Working in partnership with a UK based luxury furniture manufacturer, we present the versatile wooden floor stand for pendant style light fittings. Made from solid 30mm English Ash dowel with twin 25mm Valchromat base and clamping mechanism. All surfaces are finished with two coats of osmo polyx oil, which retains the natural character of the wood and increases the durability. It is water and dirt-resistant and extremely hardwearing. 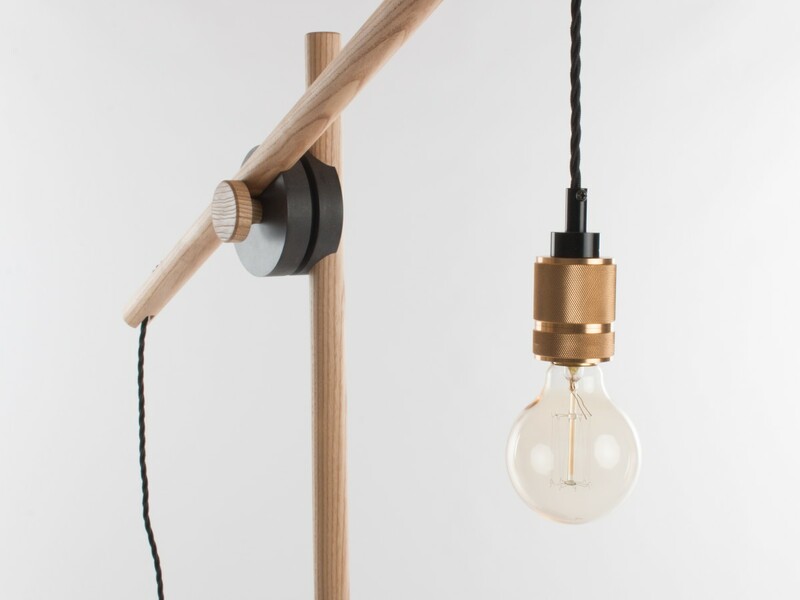 The angle of the lamp support can be fully adjusted, making the unit taller if tilted upwards. Supplied with or without the LED pendant light fitting or with our glass fittings. Please ask about how to control these type of fittings.